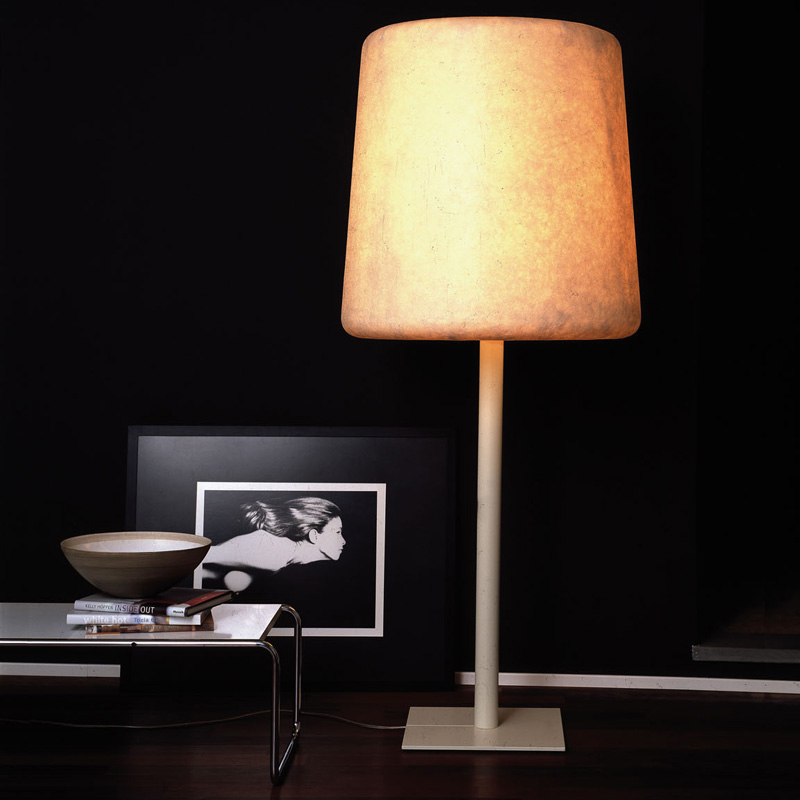 Floor lamp with finishing in ivory lacquered metal. Shade in cream colored fiberglass. On-off switch on the cable body. Lamping: 4 x E26, 23W max. 29.5" Diameter. 16.5"base x 70.7"H. Shade Height: 31.4"H.
Ivory lacquered metal/cream colored fiberglass.